QOTW: PC monitors - high resolution or high refresh? PC display technology has come a long way in recent years. Today's latest panels offer dazzling visuals driven primarily by the race for more pixels and a faster refresh rate. But which of these two features do you consider to be most important to your own usage scenarios? A 4K resolution is often marketed as the gold standard - and to be fair, all those extra pixels do create impressive visuals - but for gamers in particular a higher refresh rate can be considered more beneficial. In an ideal world we'd want a 4K display running at 240Hz, and a next-, next-generation Titan X to deliver the horsepower required to deliver such goodness. 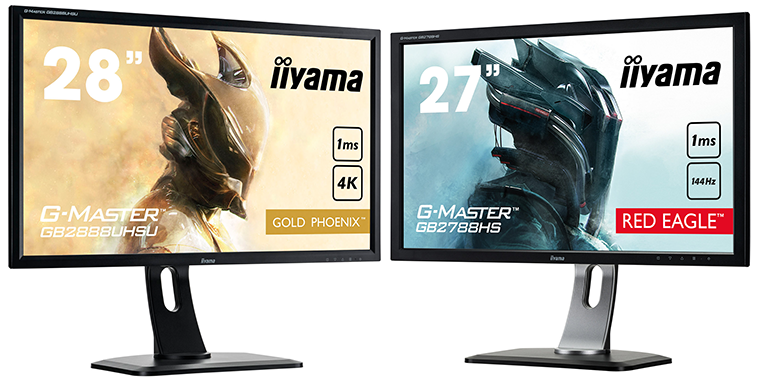 But given the hardware that's available today, there tends to be a compromise somewhere along the way, so for this week's question let us ask: PC monitors - high resolution or high refresh? Let us know which you favour, and your preferred usage scenario, in the comments facility below. Neither - higher colour accuracy and a wider dynamic range. I would take higher refresh over more resolution any time, especially if paired with variable refresh technology. I have a 27“ 144hz (1440p) monitor and a 34” Ultrawide 1440p 60hz monitor. Both IPS. I've been using the Ultrawide a lot more.. Better colour accuracy, sharper image and I don't miss my 144hz monitor for gaming. Would take better colour accuracy and res over hz any day of the week..